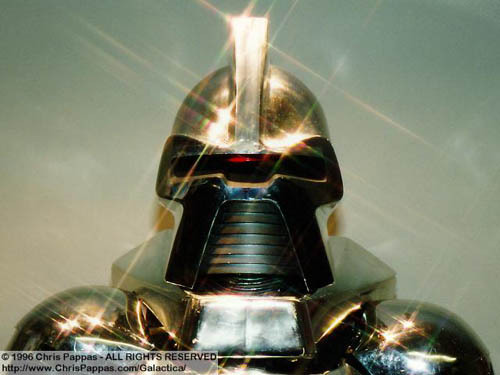 RetroGeeker: Our First Bacon Post! 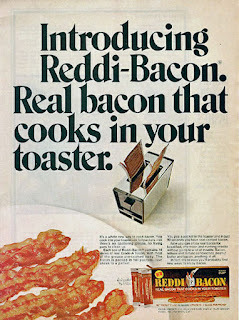 Because it's not an early 21st century blog unless you have some bacon thrown in there somewhere, I present to you the ultimate RetroGeeker snack: Reddi-Bacon. 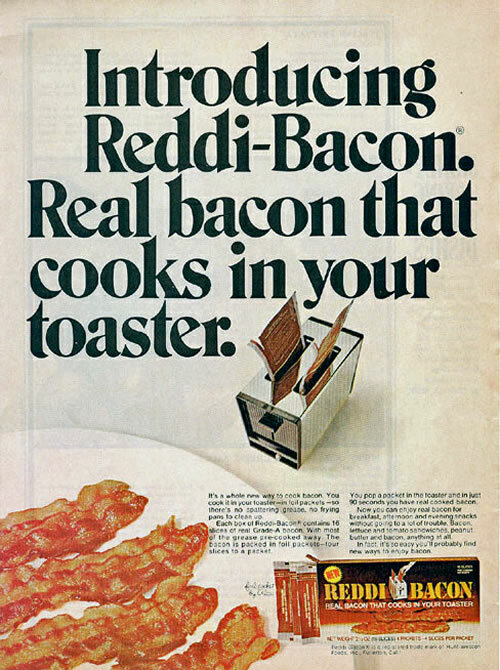 Introduced to pork-eating test-markets in 1964 by the same guys who brought you Reddi-Whip, Reddi-Bacon promised consumers quick and easy bacon without having to dirty up any dishes or pans. Partly because of aluminum's heat-conducive properties and partly because 1960s folk tended to think it looked spacey and futuristic, the product was shipped fully-coooked in foil packs which were designed to fit into an ordinary household toaster, allowing the preparer to heat the sweet meat into a salty, tasty treat. 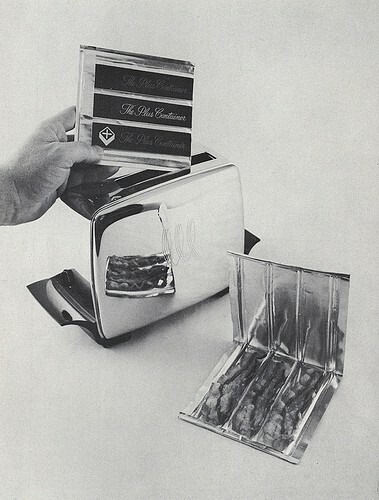 However, once the foil-packed strips of piggy goodness were subjected to the intense heat of the toasting process, the package would begin to leak molten fat, not only destroying the customer's only means of making Pop-Tarts (tried nuking one of those? it doesn't work) but also creating a potential fire-hazzard. 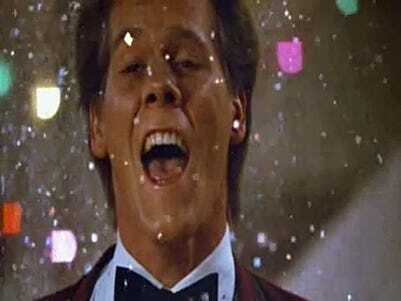 Fortunately, the test markets spoke-up and and Reddi-Bacon was quickly and permanently shelved along with dozens of other unsuccessful products from the "Reddi" line such as Reddi-Head Cheese, Reddi-Ipecac and the vastly unpopular Reddi-Enema.